Fig. 5. 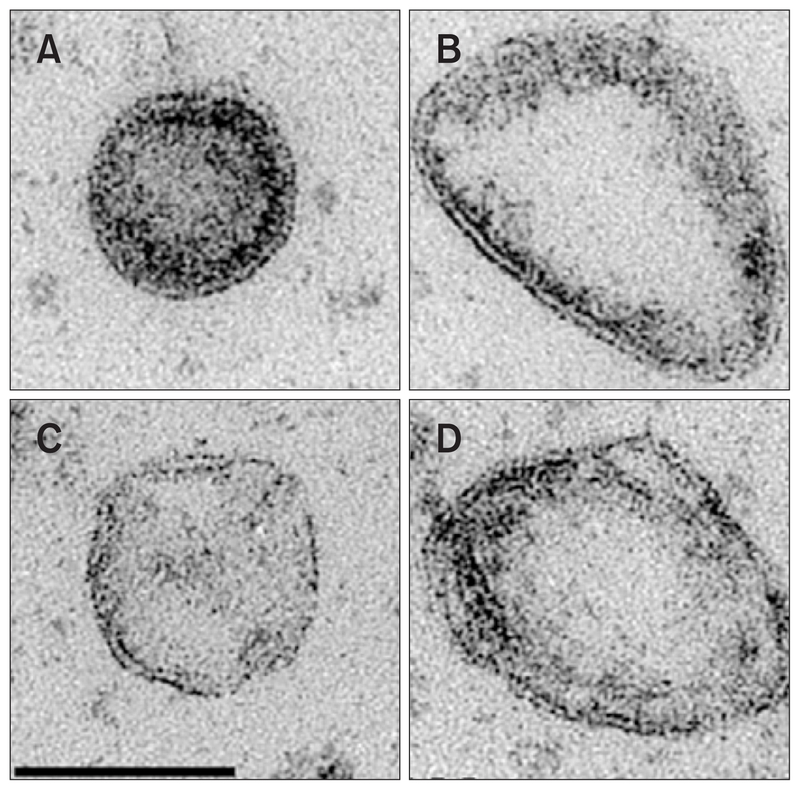 Transmission electron micrographs of membrane vesicles of Saccharomyces cerevisiae. (A–D) Exosomes. They are bilayered structures with varying electron density. Bar=100 nm. A–D: from with permission from the publisher.